Hallo friends. To the point, then: Jack Rabid, my favorite-y favorite-ist magazine editor (of The Big Takeover) has a podcast on BreakThru Radio, and he posted one yesterday. It's got goodies from Wire, Edwyn Collins, Berlin Brats, Off!, and mo'. No, he doesn't pay me. And yes, you can listen to him by clicking here. His voice is corny and enthusiastic, like his editorials and interviews for The Big Takeover. 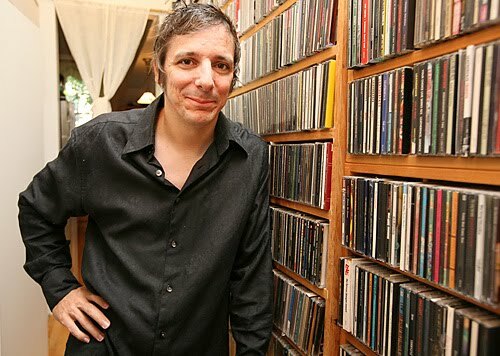 In fact, the very thing that got me hooked on the magazine was his '90s nostalgia and unabashed enthusiasm for the music, and the way he integrates himself into everyone else's scene during interviews by exclaiming, "Yeah! Me too! Me too!" every time a musician describes any sort of prior experience in touring or recording. Rabid on Edwyn Collins, post-stroke: "At the age of 51, he is not done." Way to fend off the death pools, Jack.